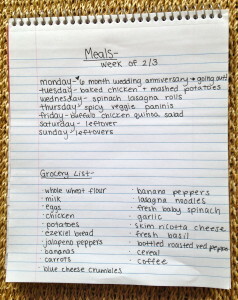 Its that time of week again, here is our meal schedule for the week as well as our grocery list. The spicy veggie panini is a staple in our house and we look forward to having it each time. 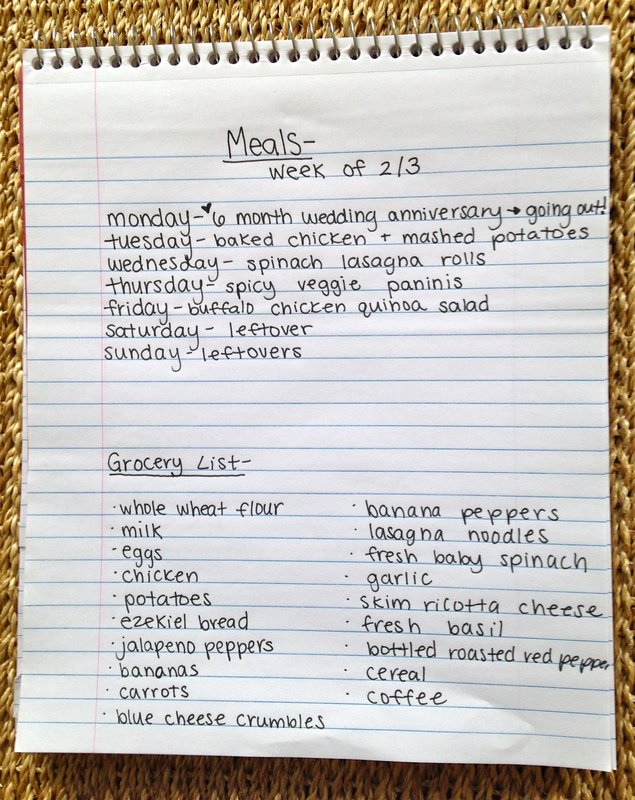 I have never tried the buffalo chicken quinoa salad but am so excited to make it! You’ll notice we are not cooking tomorrow night and that is because we are celebrating 6 months of marriage! Forrest told me not to plan anything for that night so I am assuming we are going out…we’ll see! I love when he surprises me 🙂 What are you all making this week? Trying out any new recipes you would like to share? !